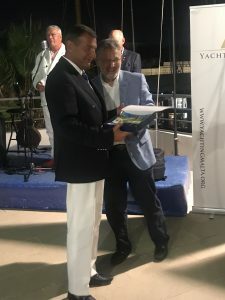 In July 2018, Yachting Malta welcomed, for the second time, the Trophée Bailli de Suffren when the fleet returned to Maltese waters. A tribute to the Bailli de Suffren de Saint-Tropez, Vice Admiral of the French Royal Navy under King Louis XVI, Captain of the fleet and the Ambassador of the Sovereign Order of Malta. 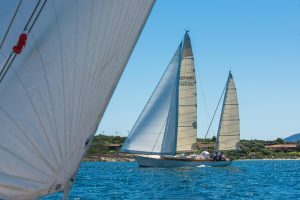 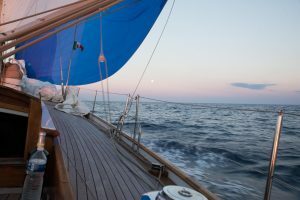 A cruising race of about 580 nautical miles leaving from Saint-Tropez, heads towards Porto Rotondo in Sardegna, proceeding on towards Trapani in Sicily before officially finishing the race at Mġarr Marina in Gozo. 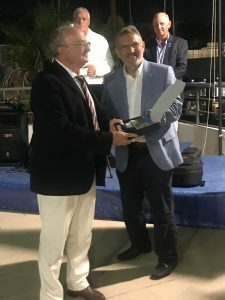 A Prize Giving evening held at the Royal Malta Yacht Club, which was hosted in conjunction with Yachting Malta saw the coveted “Sword of Honor of Admiral Sata” remained in the hands of Oren Nataf who won the seventeenth Trophée Bailli de Suffren 2018 with Stiren. 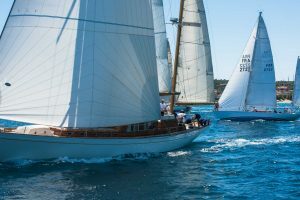 The Spirit of Tradition Class was won by Alain Monnier on Ecbatane. 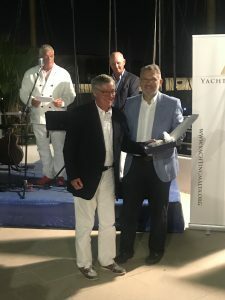 Monnier was presented with the “Sword of the Jedi” trophy reserved for modern yachts with three race wins.